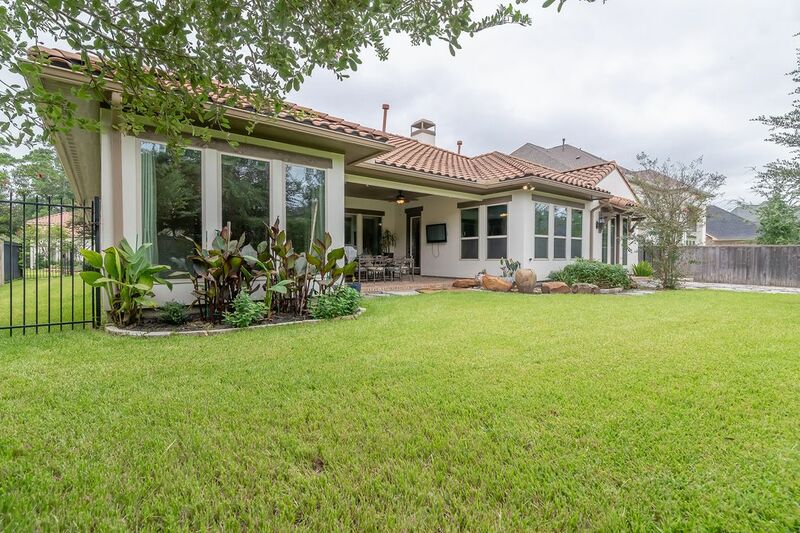 34 Pondera Point Drive, The Woodlands, TX 77375 | Martha Turner Sotheby's International Realty, Inc.
Large covered back patio with a full outdoor kitchen. 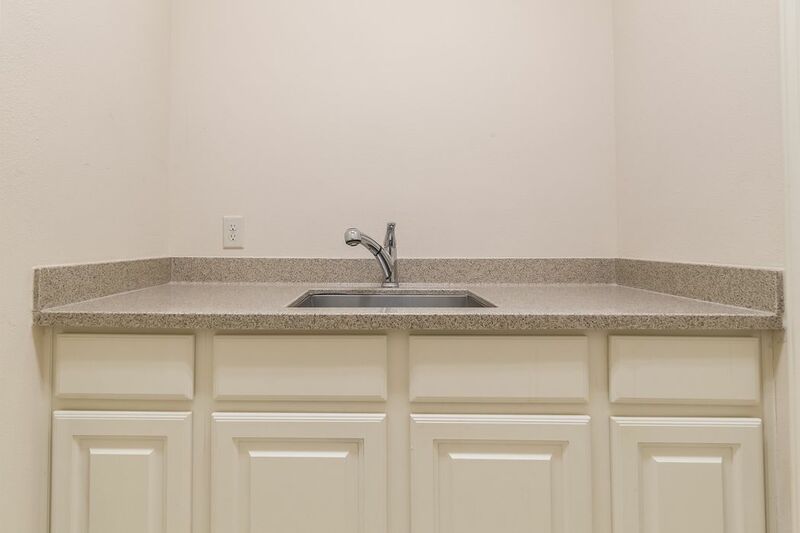 The master closet enters into the laundry room with built-in cabinets and sink. 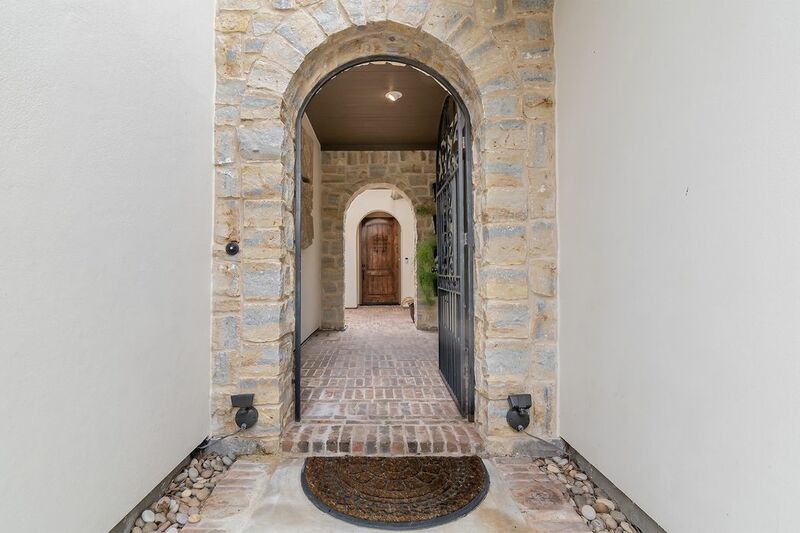 Beautiful entrance into a private courtyard. 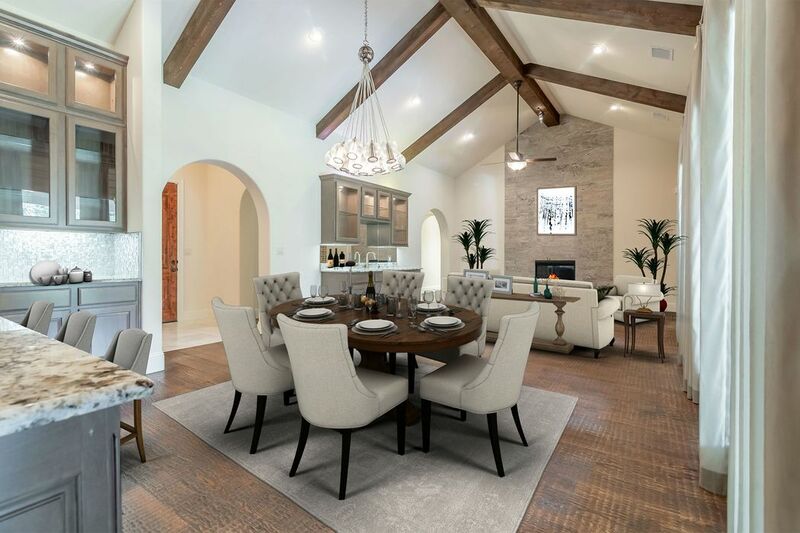 Fabulous grand living space with a sleek floor to ceiling stone fire place. 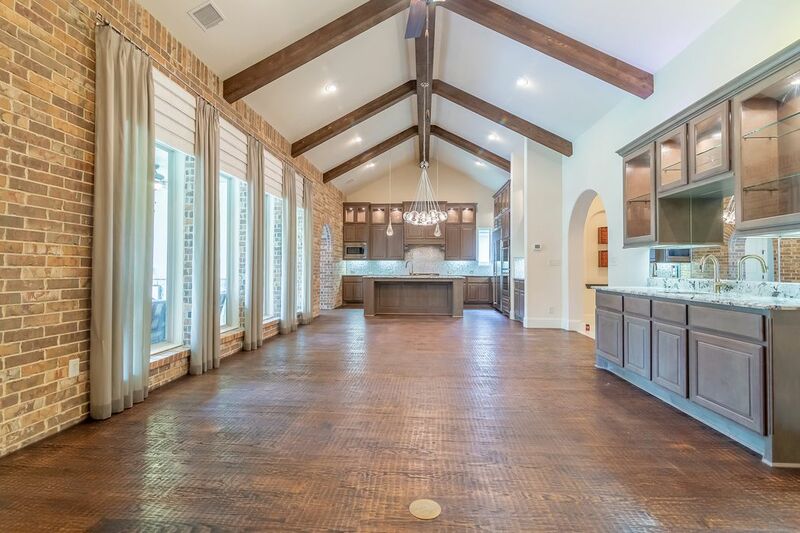 Huge open concept is stunning with vaulted ceilings with rich dark stained wooden beams. Fabulous view from the kitchen. 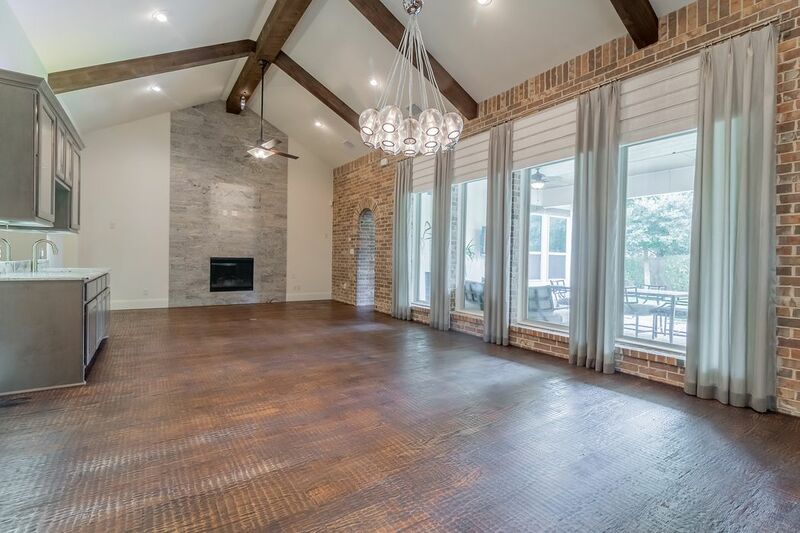 A truly great space for special events. Informal dining area (breakfast area) set between the main living area and kitchen. Great set up for entertaining. 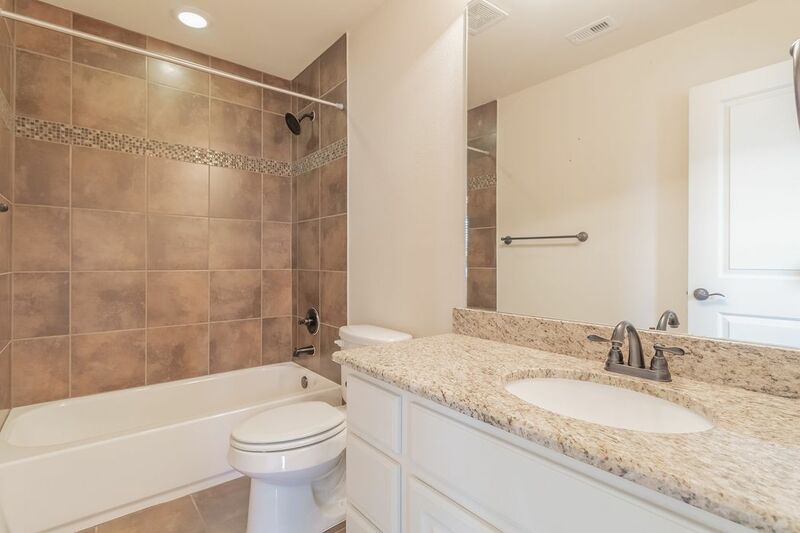 There are 3.5 bathrooms located downstairs. Backyard large enough for a pool and spa. 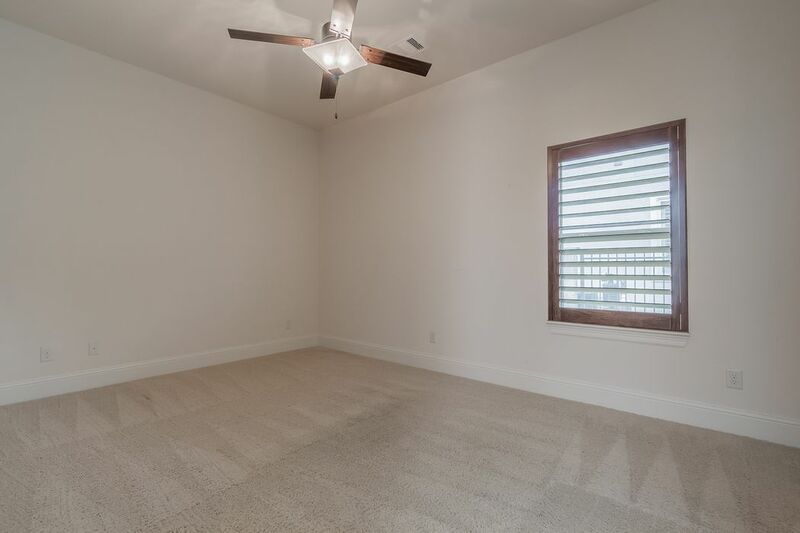 Virtual staged casual dining area/breakfast area. Home comes with the media equipment. 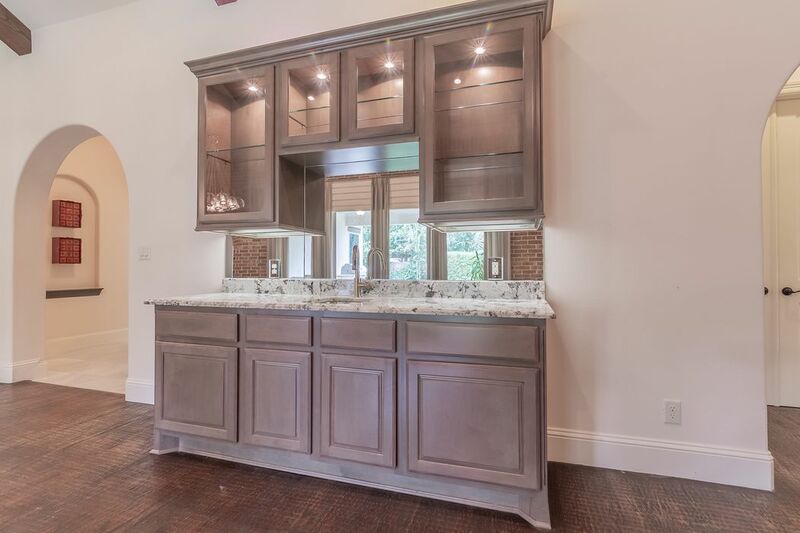 Stunning island kitchen with beautiful decorative cabinetry. 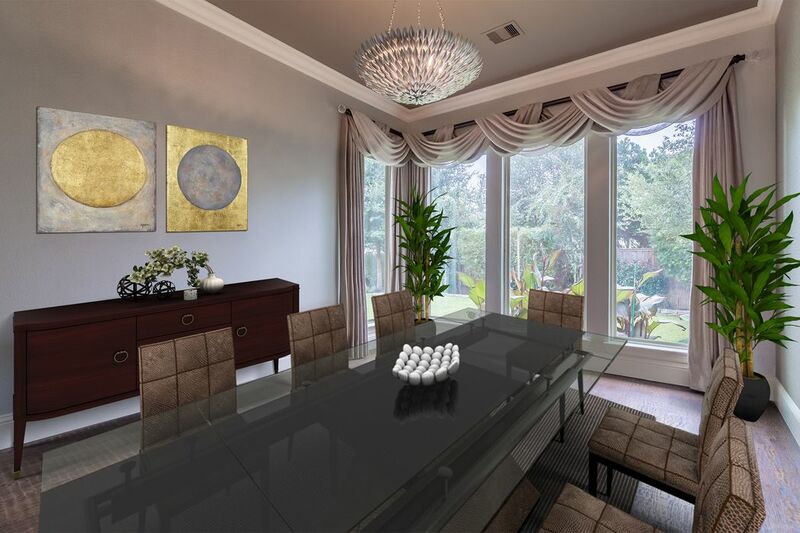 Virtual staged formal dining room. 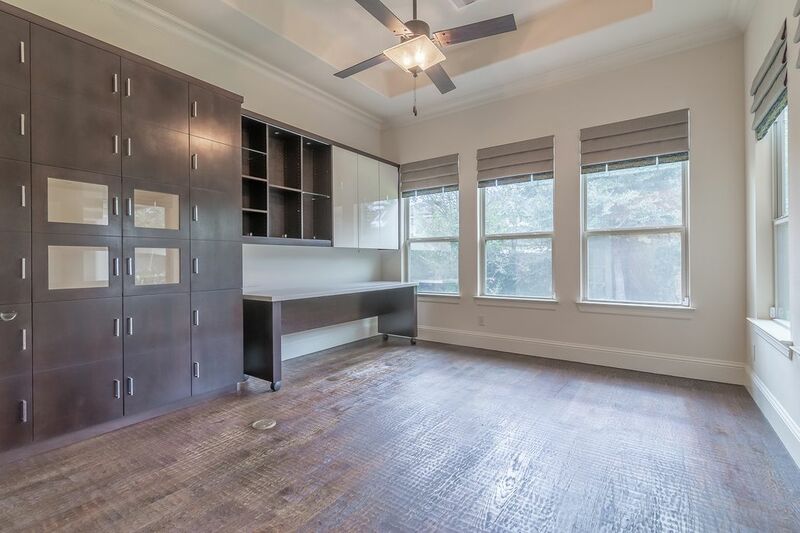 The study has lots of windows with views of the patio and backyard. 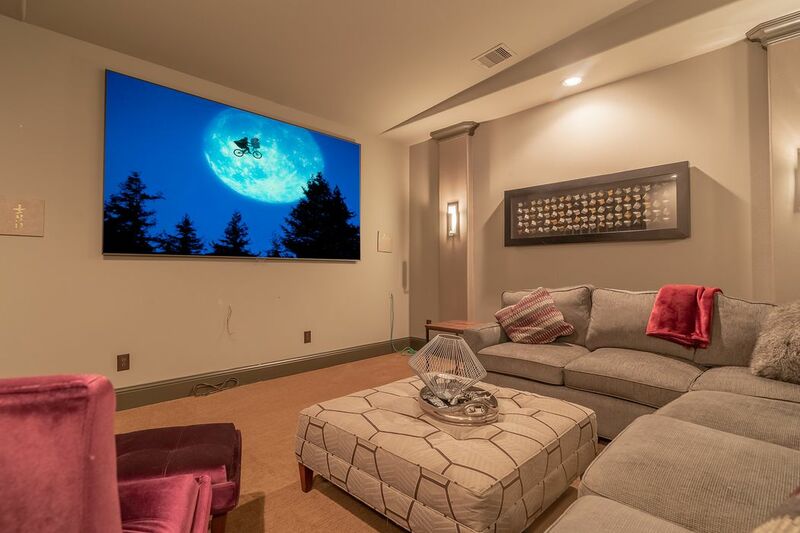 Virtual staged upstairs game room. 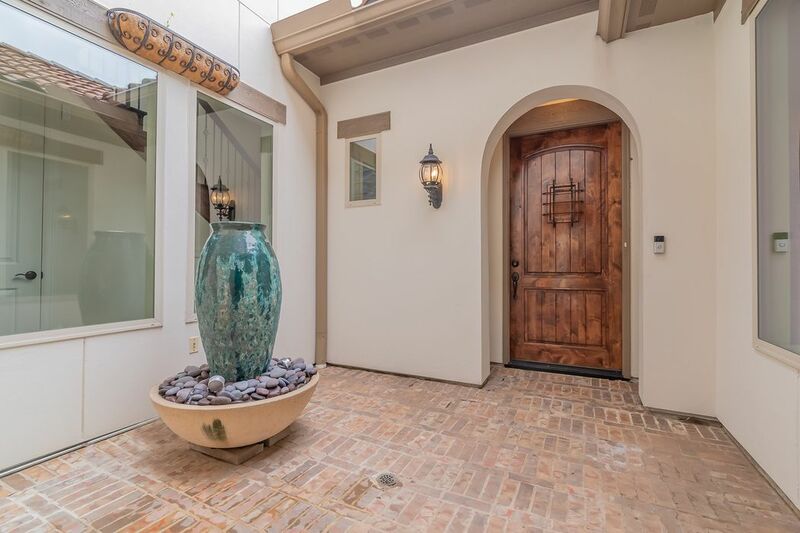 Magnificent Mediterranean style home near all of the Village of Creekside amenities and entertainment areas. 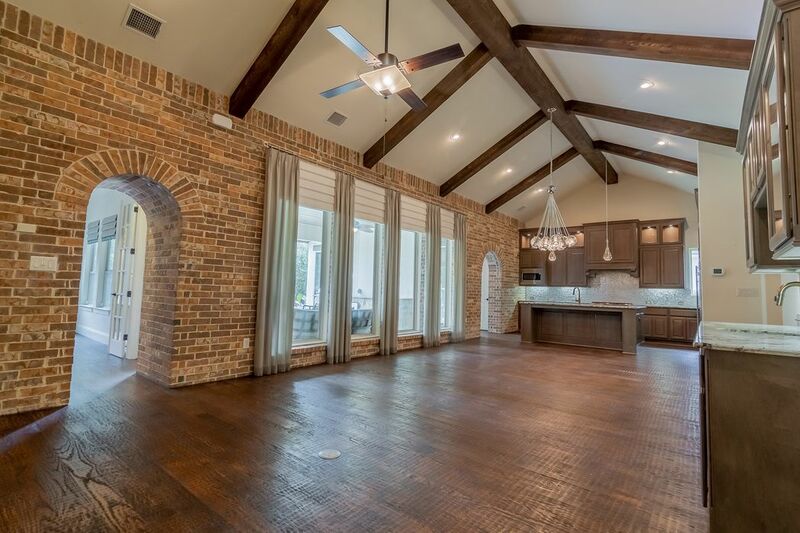 Three car garage with a long drive way trimmed with brick. Stunning Spanish style wood door with a peep through window. 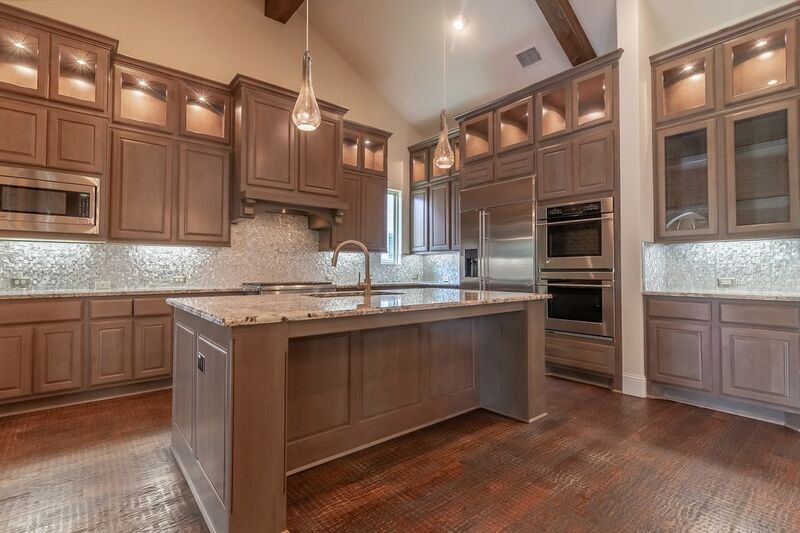 Beautiful transitional style open floor plan. 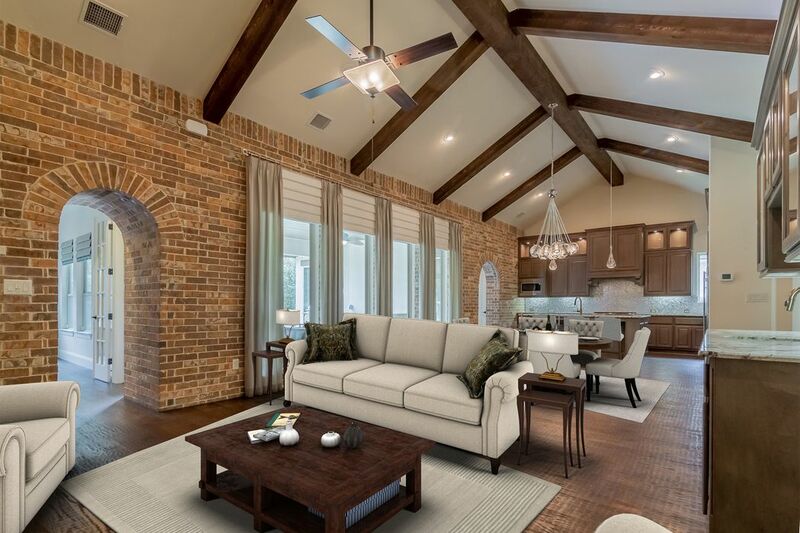 Creative exposed brick wall with arches and windows adds style and warmth with the hand scraped wood floors. 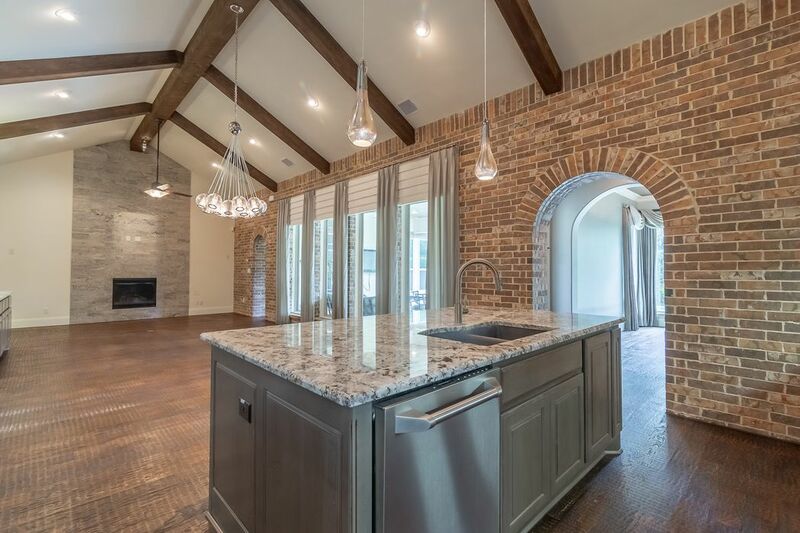 Lovely built-in bar area located beside the main living area. 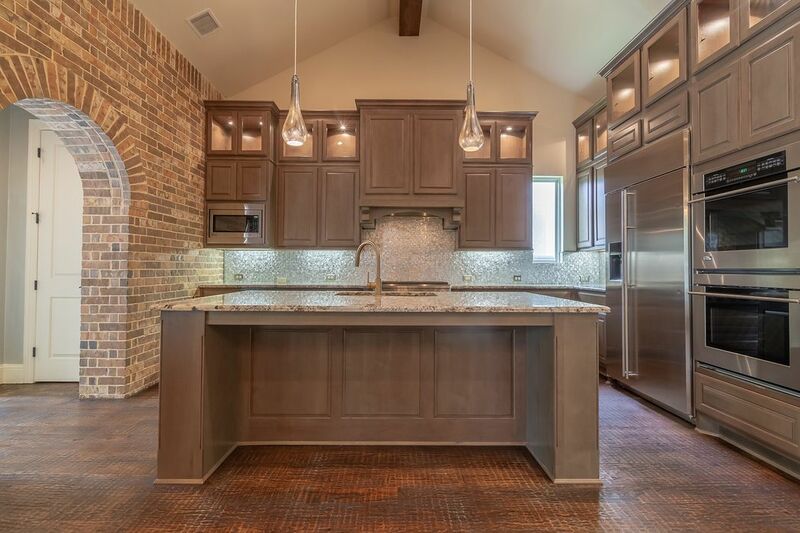 The metallic backsplash decoratively matches the upgraded stainless steel appliance package. 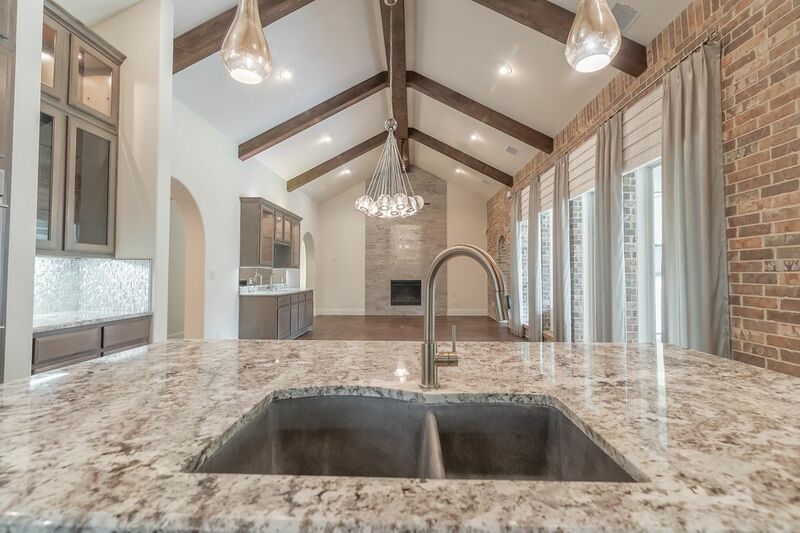 Exquisite granite counter tops matches the hanging pendulums. 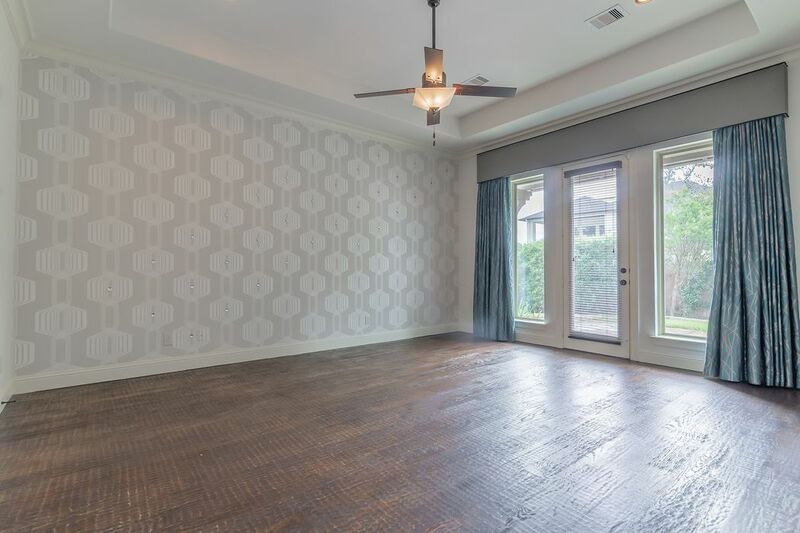 Formal dining room is located off the kitchen and to the back side of the home. 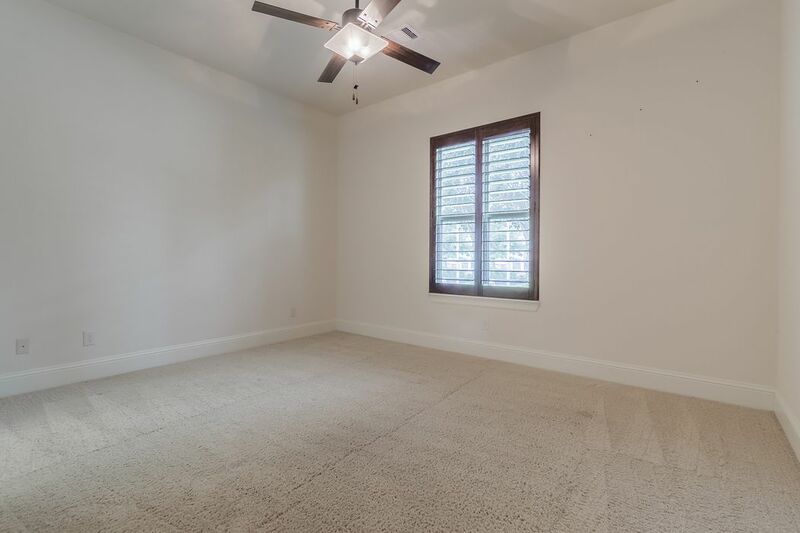 Large room with plenty of decorative wall space trimmed with crown molding. 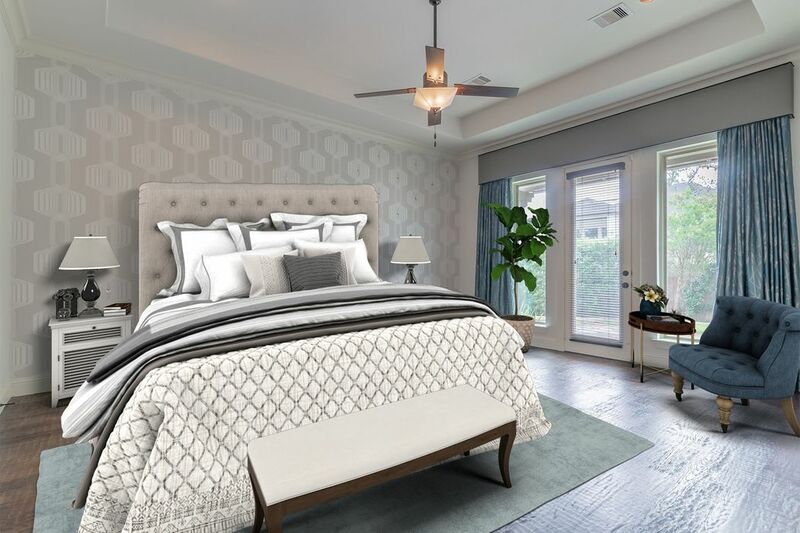 Elegant designer accent wall in the master suite. 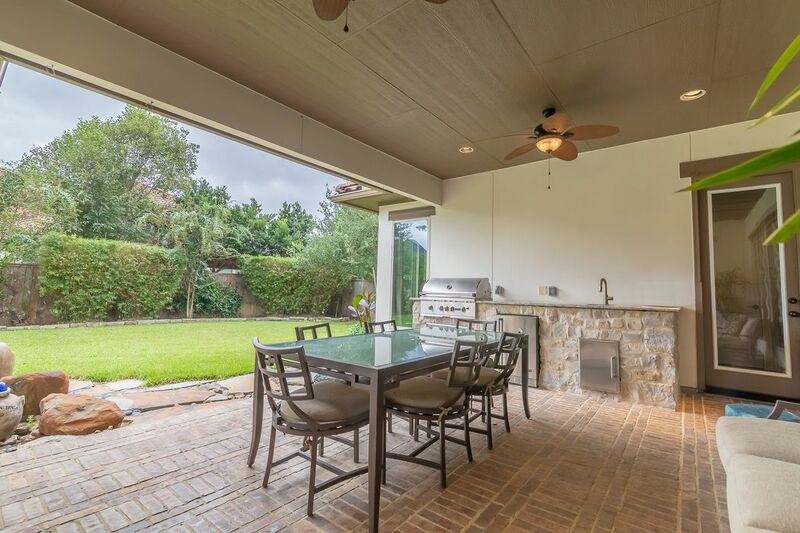 Love the glass door surrounded by large windows that leads to the backyard. 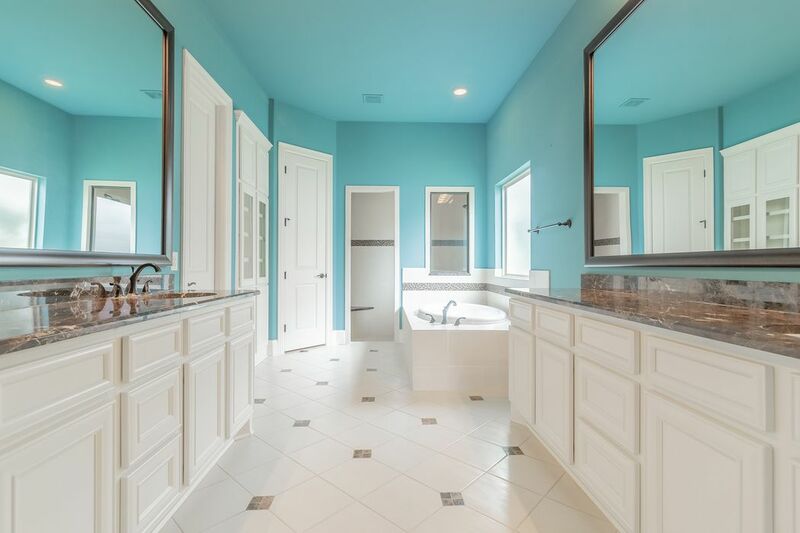 Charming master suite with double tiered ceiling and crown molding. 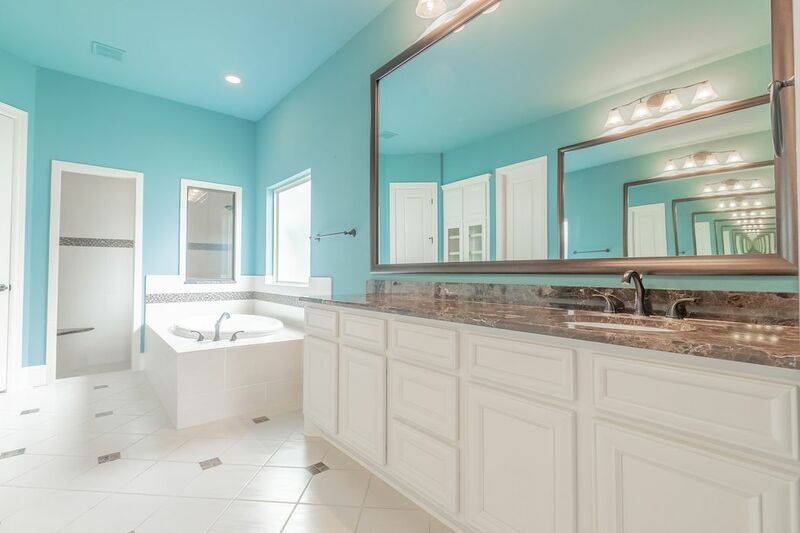 Light and bright master bathroom with exotic granite counter tops. 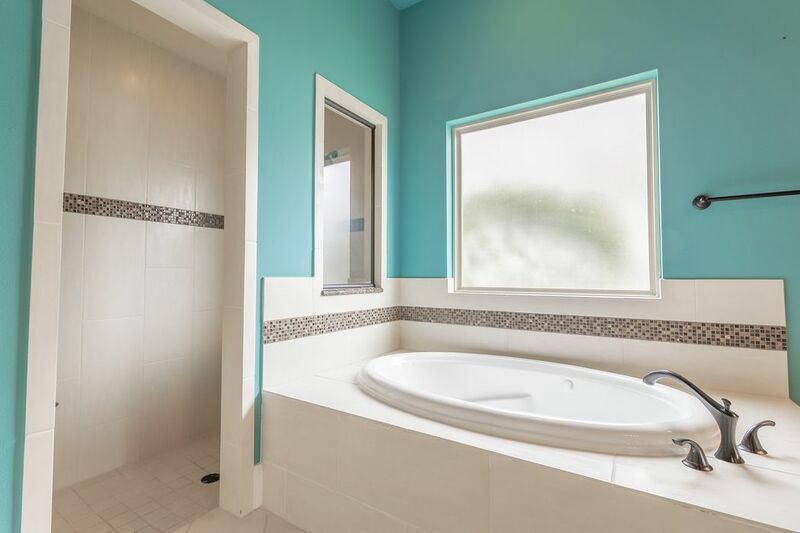 Separate garden soaking tub along side an open walk-in shower. 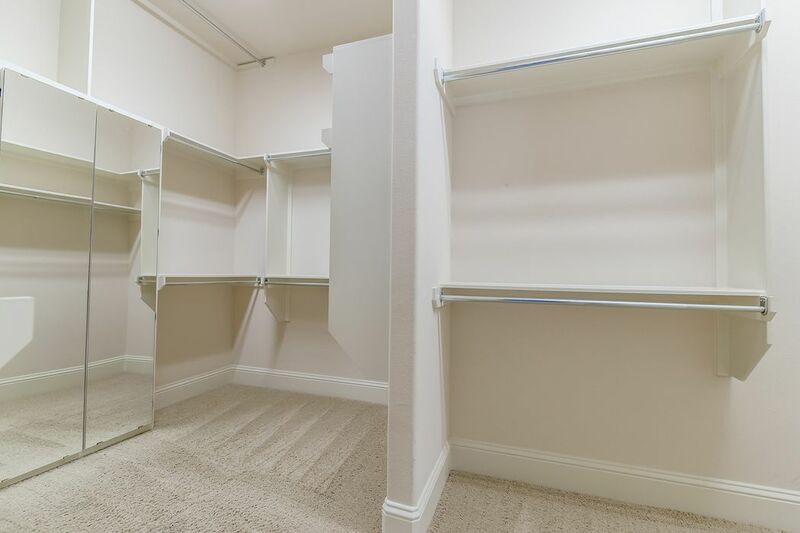 A portion of the large master closet. 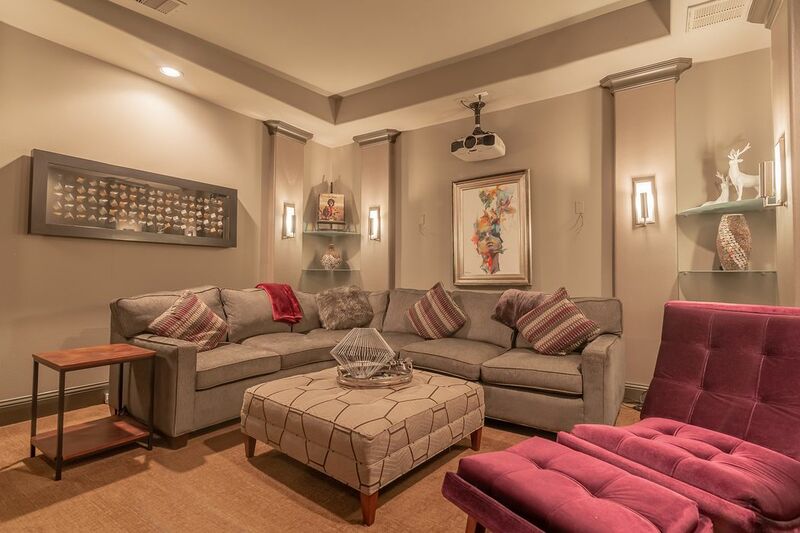 Sensational media room is located on the first floor. 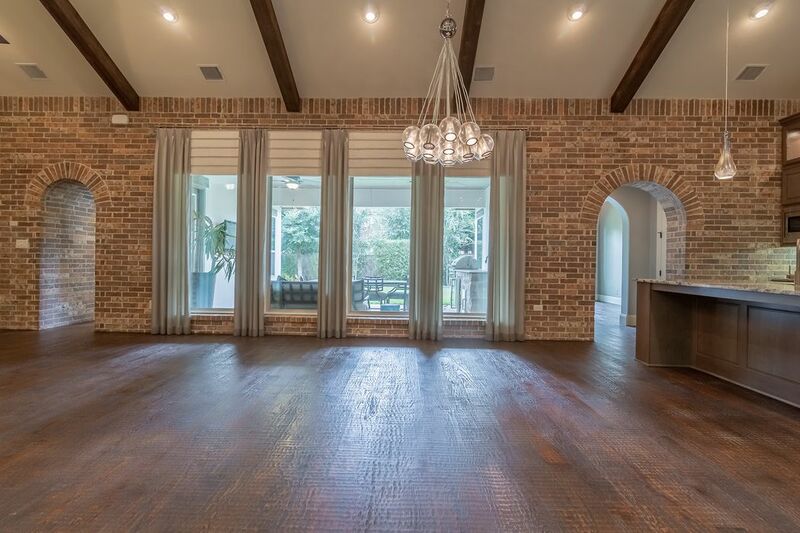 Another area that is fantastic for entertaining. 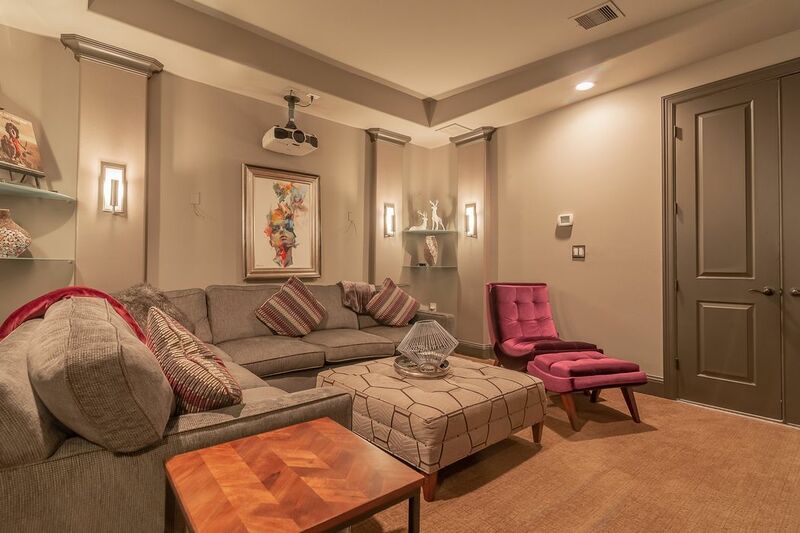 Spectacular five bedroom house with three rooms downstairs. 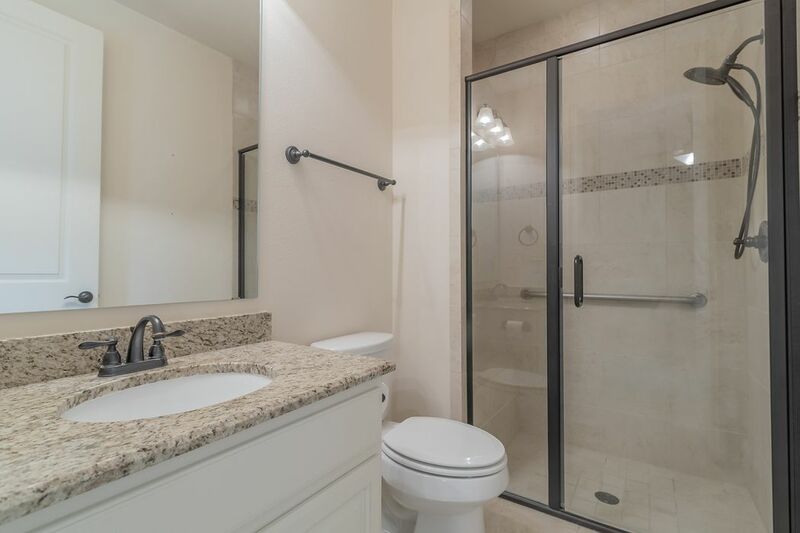 Each bedroom has a full bathroom. One downstairs spare bedroom has it's own private entrance to the front courtyard. 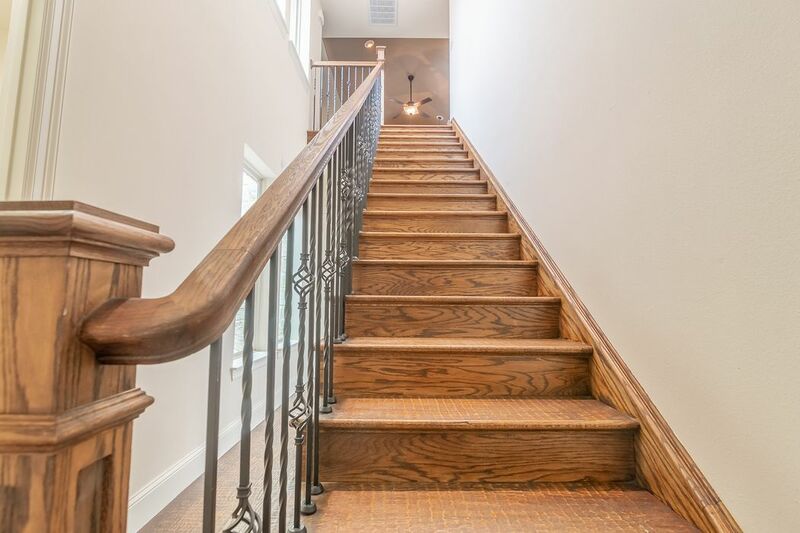 Wooden staircase with iron spindles leads to the second level. 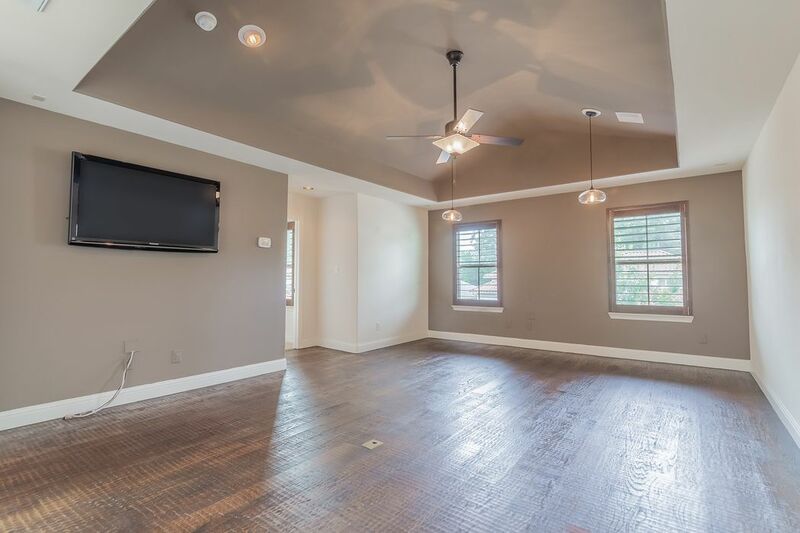 Huge open game room located upstairs with tall ceilings. 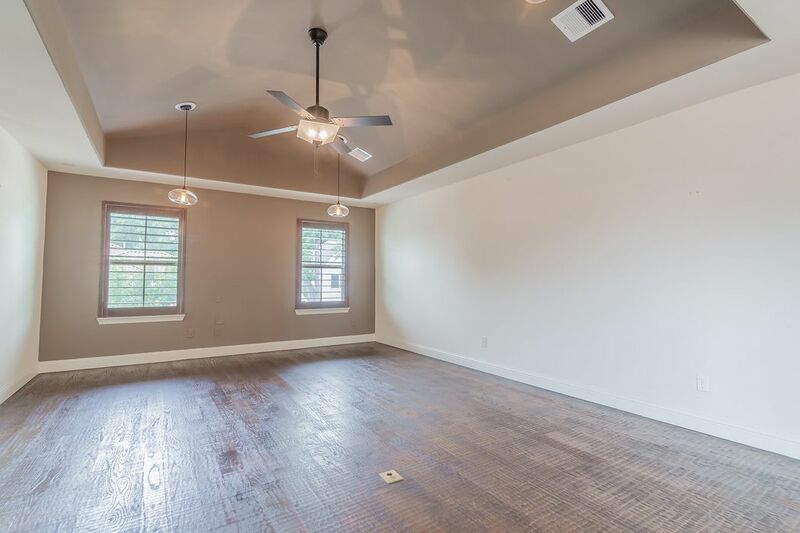 Another space that is fabulous for entertaining or a spacious play area. 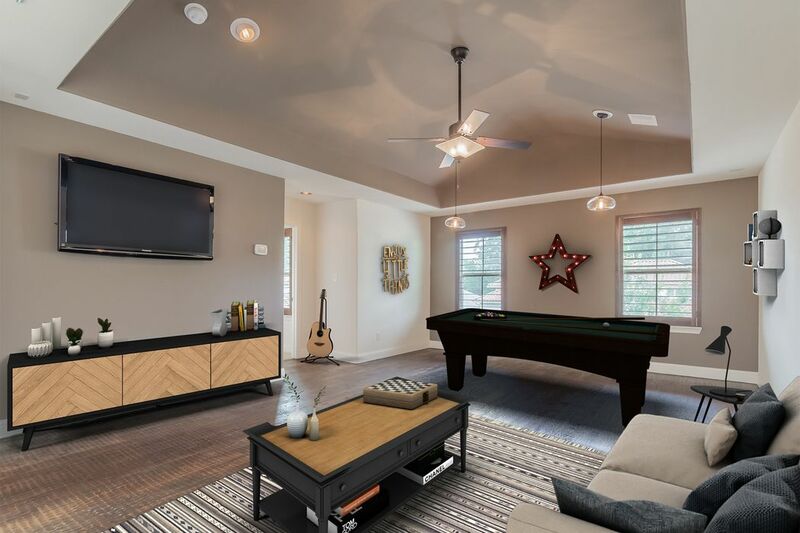 Another view of the upstairs game room. 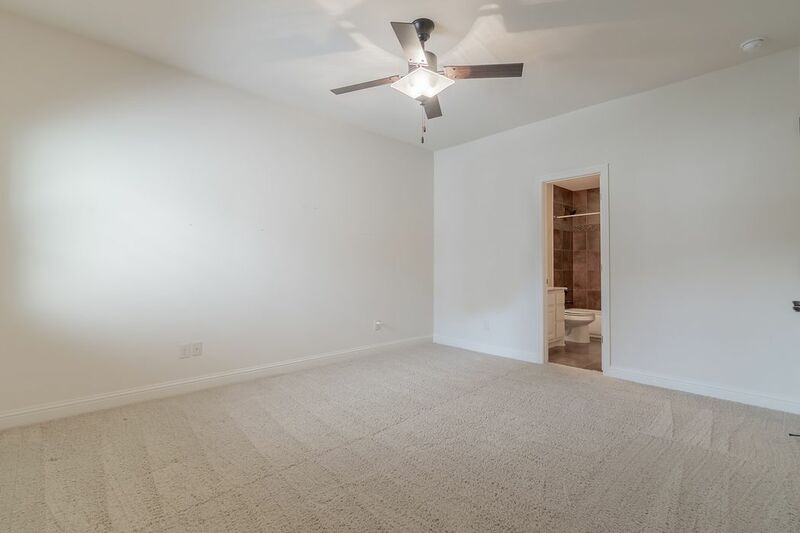 Two additional bedrooms and bathrooms are situated off the game room. 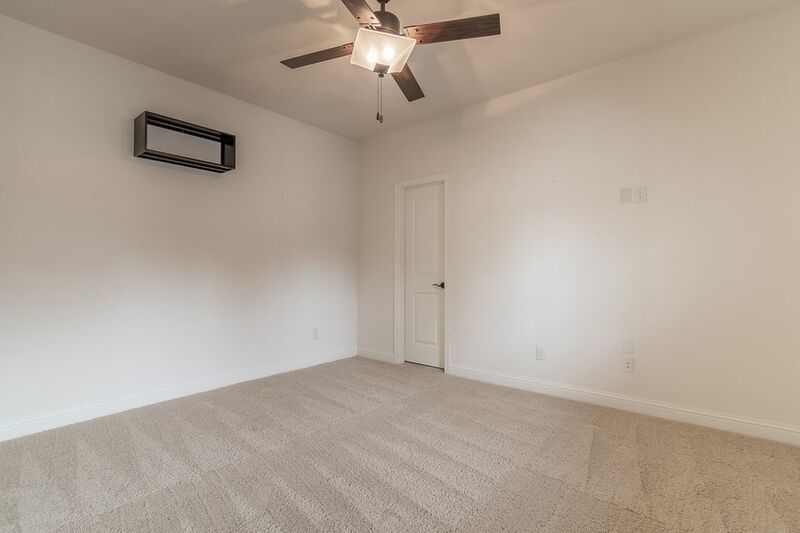 All of the secondary bedroom are very spacious with walk-in closets. 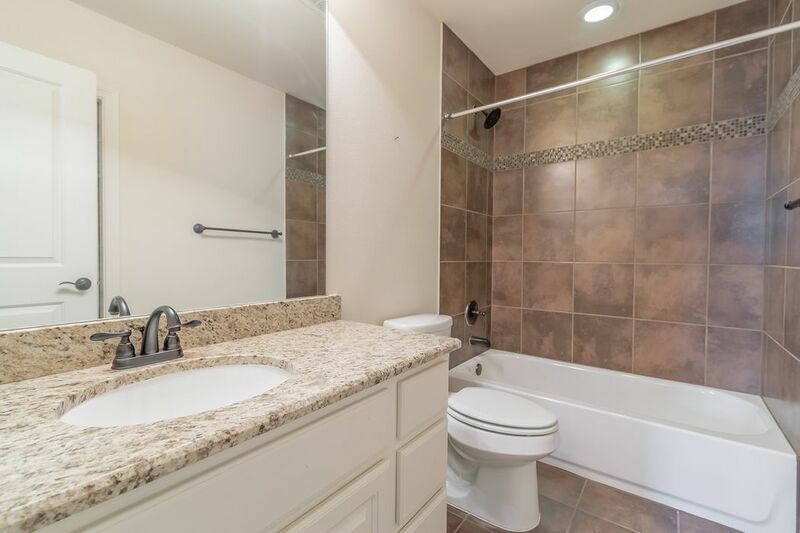 This additional bathroom comes with a tub. 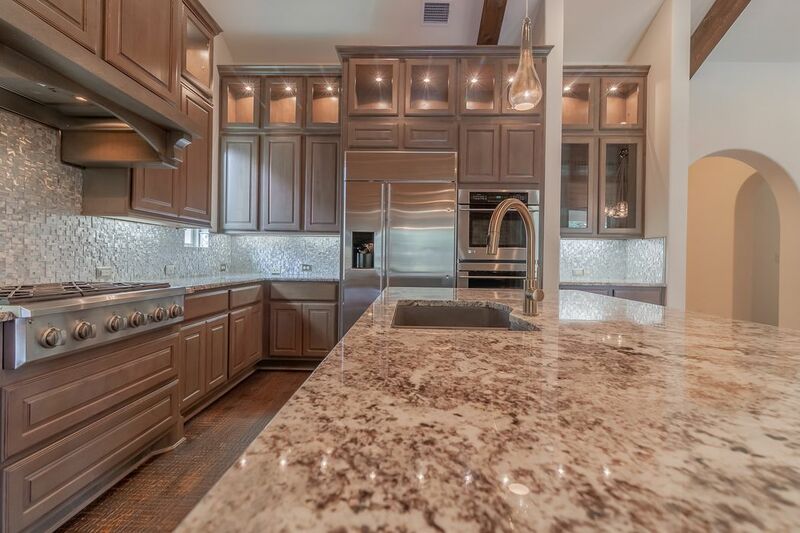 Lovely granite counter tops are in all bathrooms. 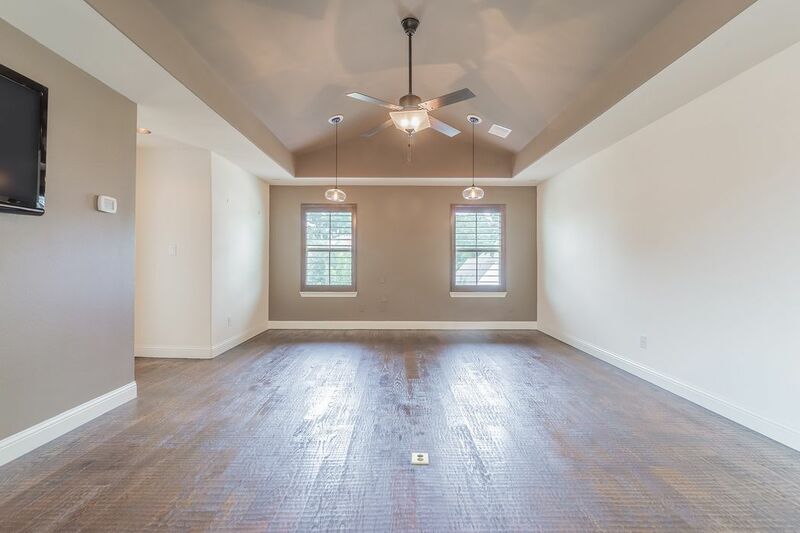 Plenty of rooms in this wonderful five bedroom floor plan. 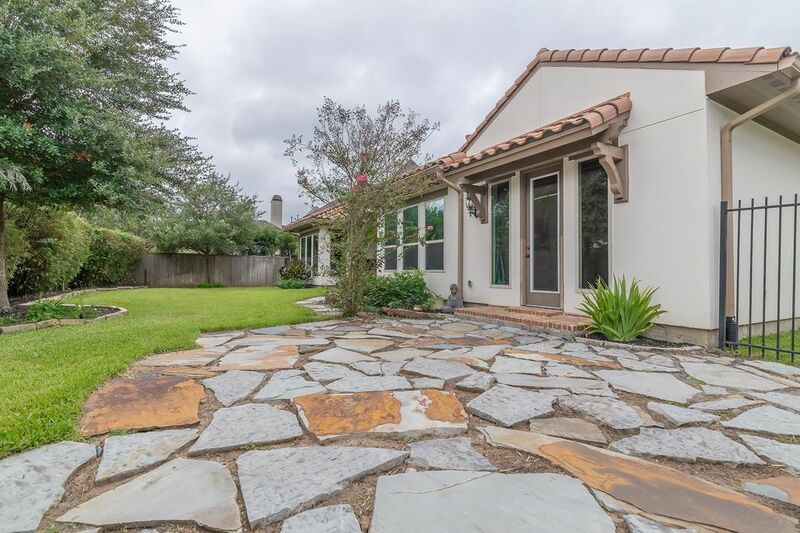 Stone patio off the master bedroom. 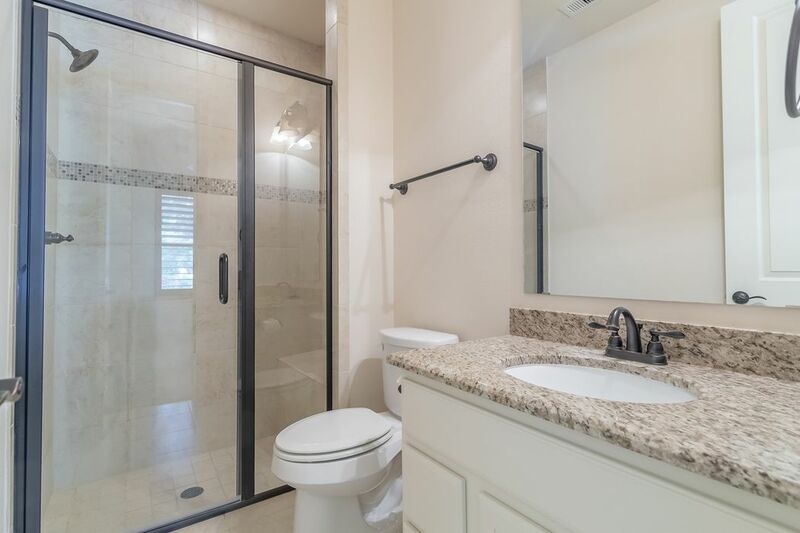 $699,000 5 Bedrooms5 Full / 1 Partial Baths4,247 sq. 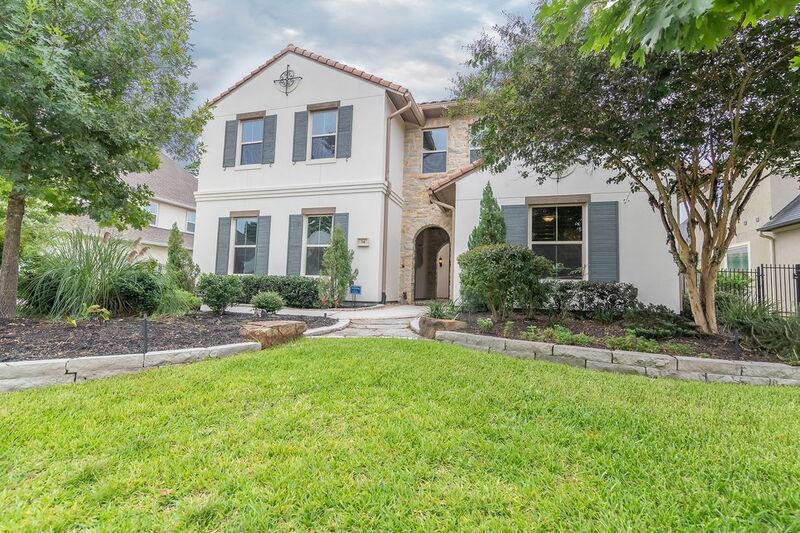 ft.
Fabulous 1.5-story home with Darling Builder floorplan, located in The Woodlands Village of Creekside. 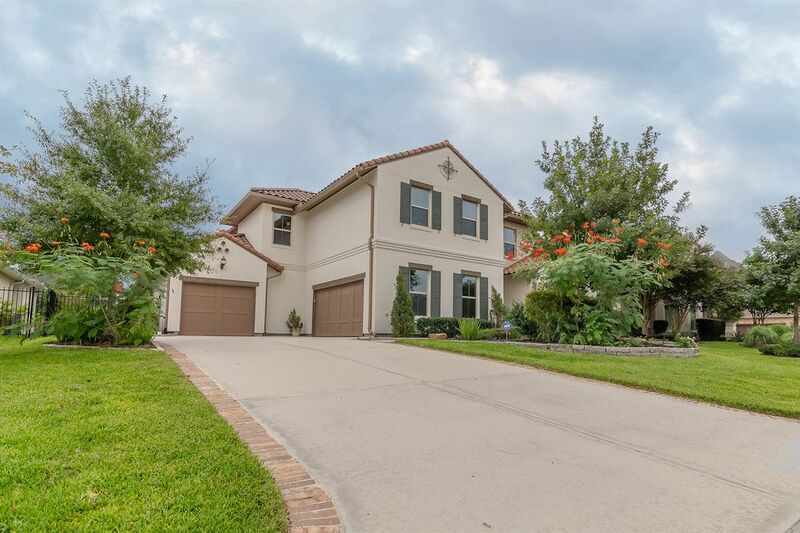 Classic Mediterranean-style home with tile roof, stucco, shutters and front courtyard. 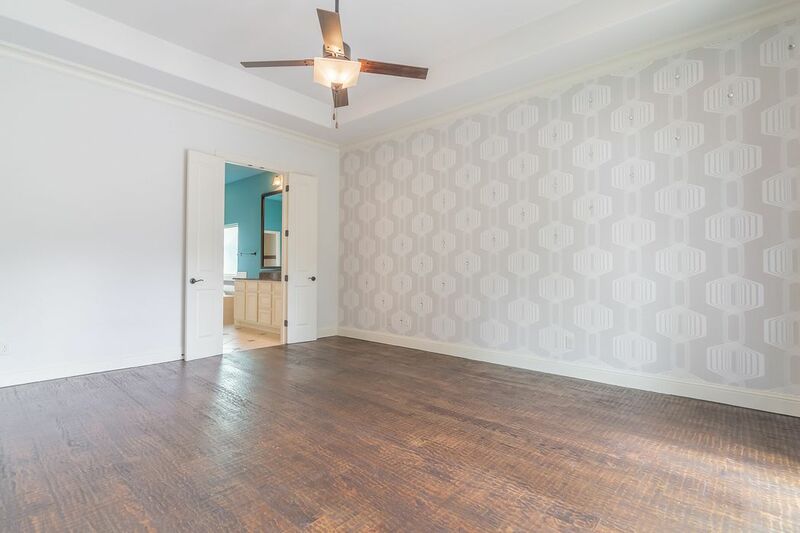 Downstairs are 3 bedrooms, a huge family room and open kitchen with casual dining area all highlighted with exposed brick walls and windows overlooking the patio and backyard. 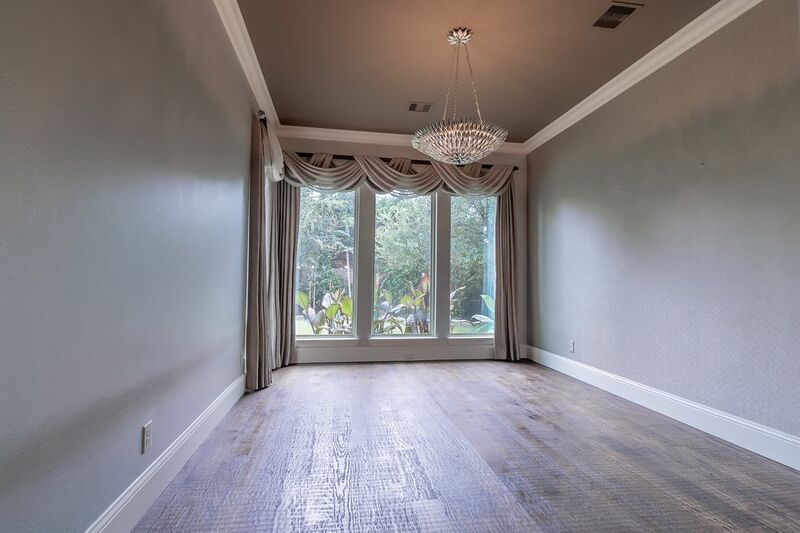 The media room, study and formal dining room are also located on the lower level of the home. 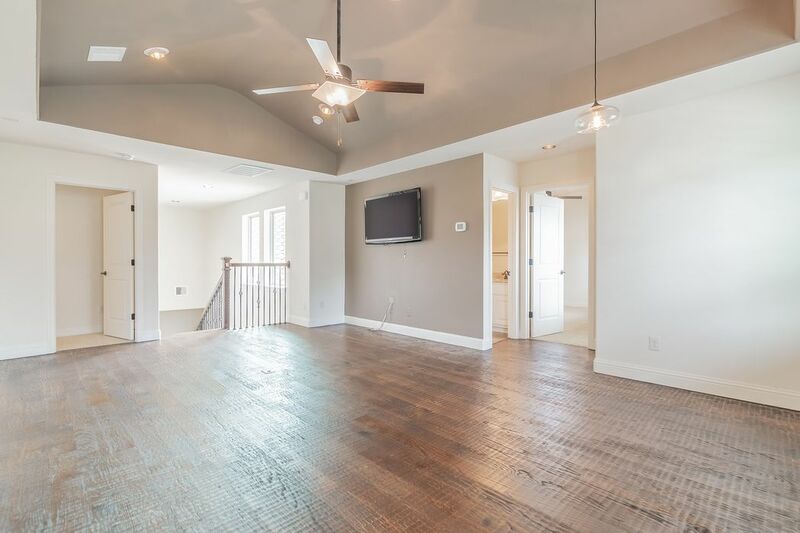 Upstairs has a large gameroom along with 2 additional bedrooms and full baths. The backyard is large enough for a pool. 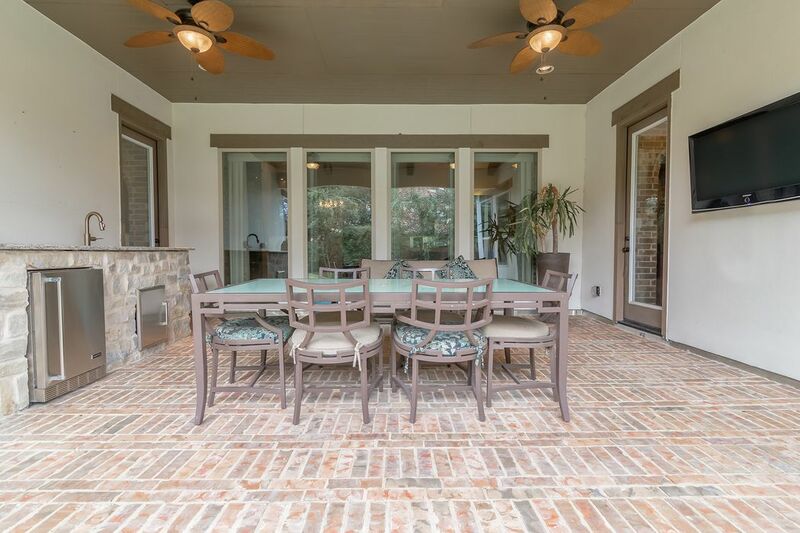 Fantastic Creekside location, close to all of the villages amenities.